Fall brings more than just colorful trees and cozy sweaters to town, it also invites festivals, concerts, shopping sprees, Halloween nights, horsey fun and more! Check out the events Georgetown, KY has waiting for you and your family this season. Bi-Water Farm & Greenhouse at 877 Cincinnati Rd. Bi-Water Farm entertains seasonal fun on the farm for the entire family during their AutumnFest, now through Nov. 3. Jump full-force into fall with hayrides, a corn maze, zip lines, bounce house, slides and so much more! This year’s AutumnFest features themed nights every weekend with live music, storytelling and yummy smores around a community bonfire. Find the full list of special events and details of each night at biwaterfarm.com/autumnfestadventures/. Evans Orchard & Cider Mill at 198 Stone Rd. Festival season would not be complete without a visit to Evans Orchard & Cider Mill for their Harvest Festival. Join this 5th generation agritourism farm every weekend until Oct. 29 for 175 acres of adventure. Harvest Festival exhibits a fully equipped play area, pony and hay rides, petting zoo, pumpkins, mums, fodder shocks, and everything else in between. 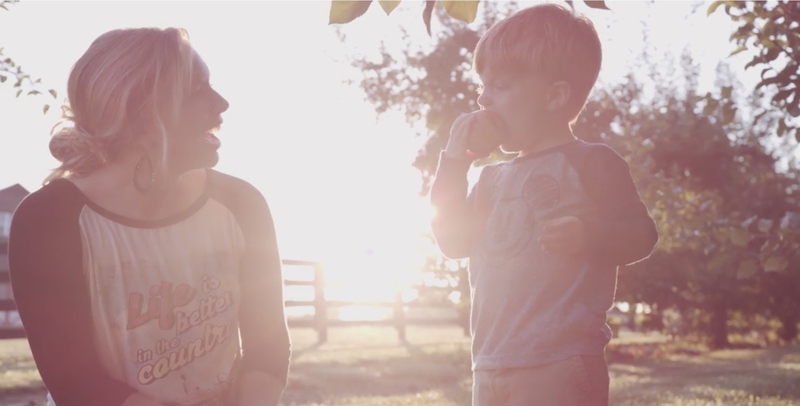 Named Best Place to Go Apple Picking in Kentucky by Reader’s Digest, U-pick apples at Evan’s Orchard during Harvest Festival is also a must-do. Downtown Georgetown at 100 Court St.
Georgetown celebrates fall finally making its debut in the Bluegrass with a night of fun in Downtown Georgetown. On Friday, Oct. 12, shop at our many antique and boutique shops from 5-7pm during Gtown After Hours. You’ll find exclusive deals and “can’t miss” promotions at participating businesses, sure to prepare you for the months ahead. After your shopping excursion, stay in Downtown Georgetown for complimentary live entertainment by Swing Street. 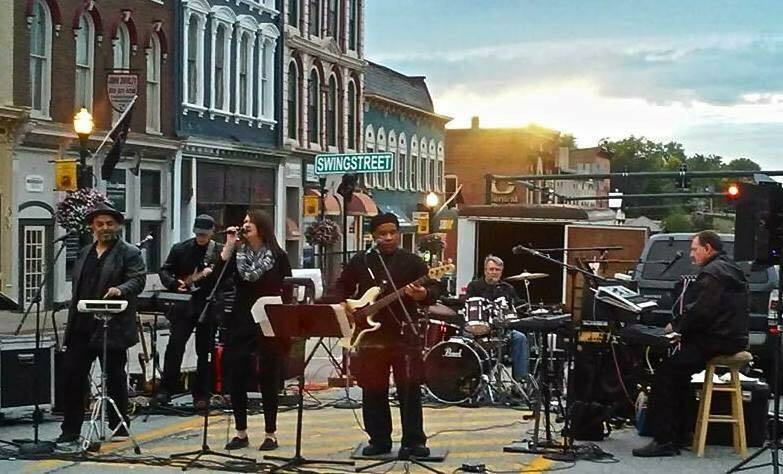 The Courthouse Square in the heart of downtown will rock all night with music and food & drinks until 10pm. Unwrapped children’s gifts are requested by attendees to help support Georgetown/Scott County Toys for Tots. Two events in one evening, you won’t want to miss this! Ward Hall at 1782 Frankfort Rd. An old-fashioned baseball game set on the grounds of a mansion built circa 1857 is a home run for anyone. Mark your calendars for Sunday, Oct. 14 as Georgetown’s Ward Hall hosts their 9th Annual Vintage Base Ball Game. This spirited event gives a glimpse into the historic origins of America's greatest pastime and one of the grandest Greek Revival residences in Kentucky. The first pitch is at 1pm between the Black Bottom 9 from Ohio and the Rising Sun Belle Rivers from Indiana. Admission into the game is $5 (14 & up), $3 (7-13) and free to those 6 and under. Whispering Woods Riding Stables at 265 Wright Ln. Halloween in Horse Country starts and ends at the Haunted Trails of Whispering Woods. For only $10 per victim/person, you can take a spooky wagon ride pulled by ghostly horses deep into Whispering Woods Riding Stables’ 250-acre wooded terrain. Join in on frightful fun Oct. 19-20 & 26-27 from 7:30pm to 10pm. For more info, call 502-570-9663. The Kentucky Horse Park at 4089 Iron Works Pkwy. The Kentucky Horse Park hosts another Vintage Market Days® in the Covered Arena, Oct. 26-28. This annual shopping event brings an upscale vintage-inspired indoor/outdoor market featuring original art, antiques, clothing, jewelry, home décor, outdoor furnishings, seasonal plantings and more to the folks of Central Kentucky. All are invited to attend the biggest show jumping event of the year at The Kentucky Horse Park, the National Horse Show. This action-packed 6-day hunter/jumper event begins Oct. 27 and lasts until Nov. 4. 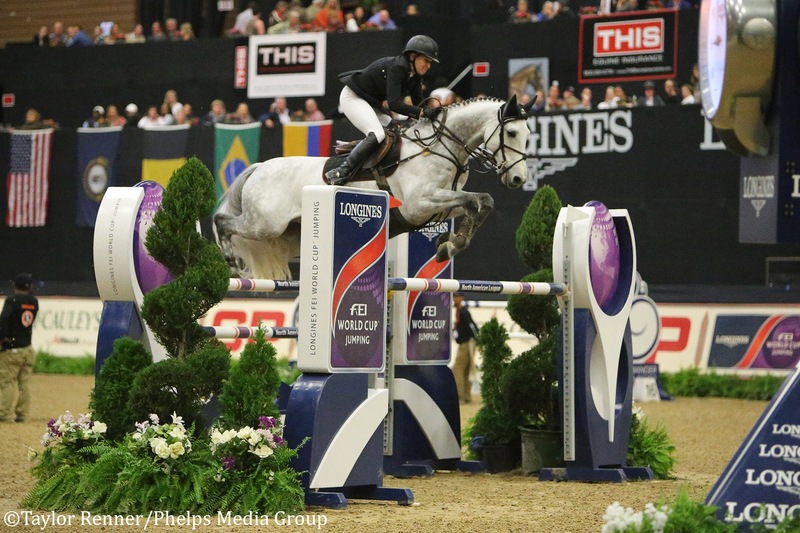 Known as one of the top shows in the United States, the week welcomes Olympians and World Champions from across the globe, as well as the nation’s top junior riders. In addition to the top-level equestrian competitions, attendees can find family-fun, shopping and more. Free daytime admission is available Oct. 27-28, and Oct. 30-Nov. 2. Tickets to the evening events Nov. 1-4 start as low as $5 per person and can be found at nhs.org. Celebrate "All Hallows' Eve" in Historic Downtown Georgetown during Spook-Tacular, Oct. 31 from 11am to 2pm. 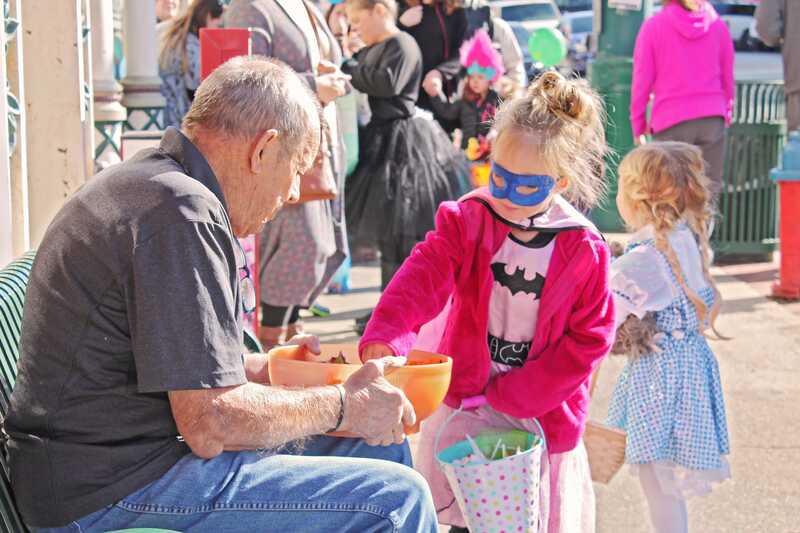 Downtown businesses welcome trick-or-treaters as they prepare activities and pass out candy to kids dressed in costume! Community-wide trick or treating begins at 6pm and goes until 8pm at participating neighborhoods. Old Friends Thoroughbred Retirement Farm at 1841 Paynes Depot Rd. The conclusion of Breeders’ Cup calls for celebration at Old Friends Thoroughbred Retirement Farm. Join them and their many Breeders’ Cup winners on Nov. 4 from noon to 4pm for a party featuring live and silent auctions of Breeders’ Cup and horse racing memorabilia, catered BBQ, tours and more. Book your reservation to the event for only $30 by calling Old Friends at 502-863-1775 (all proceeds go towards taking care of the horses at Old Friends). Country Boy Brewing: Georgetown Taproom at 108 Corporate Blvd. Nothing goes together better than fall weather, chili tastings and Country Boy beer. Head to Georgetown’s Country Boy Brewing Taproom on Nov. 4 from 1-5pm for their Annual Country Boy Chili Cookoff. There is no admission charge; however, they will be graciously accepting canned goods and donations for God's Pantry Food Bank. 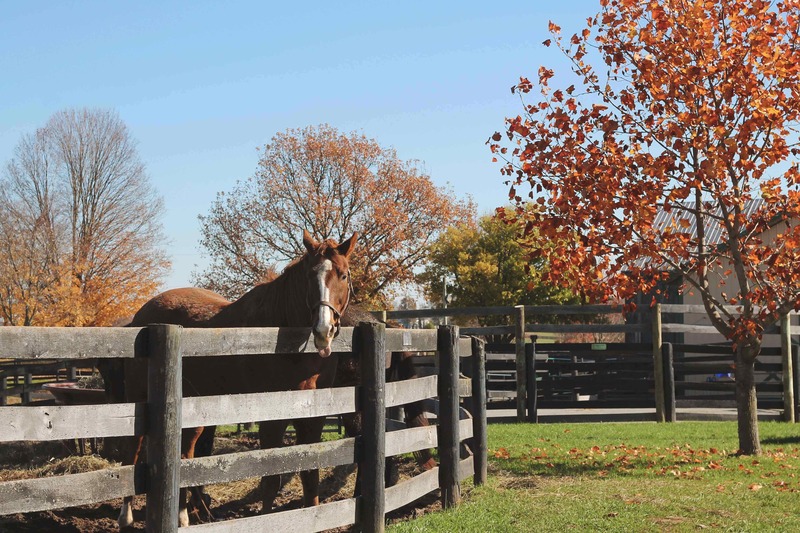 Outside of events, experience Georgetown's many attractions highlighting Kentucky's fall foilage. Entertainment continues year-round with live music and family activities at local businesses in and outside of our historic downtown district. Looking to do something that'll keep you coming back for years to come? Fall Meet at Keeneland Racecourse in Lexington is another popular October endeavor visitors and locals make a top-priority when in the area. 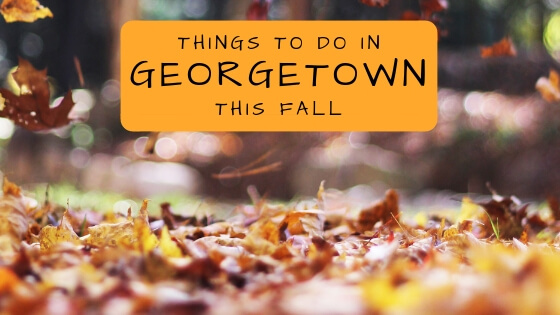 It's no secret, fall is a favorite in Georgetown! Additional Georgetown, KY events for the season and beyond can be found at georgetownky.com/events.